Ather Energy launched their disruptive intelligent, electric scooter Ather 450 and their previously unveiled variant, the Ather 340. The Ather 450 is designed for city riding conditions, it comes with a top speed of 80 km/hr, a range of 75 km and one of the quickest accelerations of 3.9 seconds from 0-40 km/hr in the scooter market. 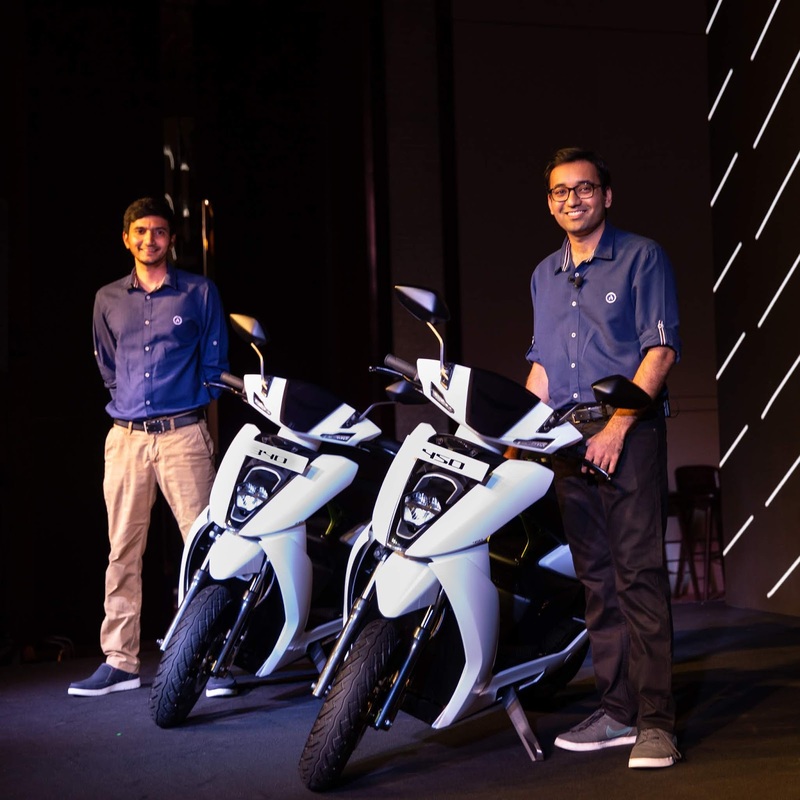 Limited pre-orders have opened on Ather’s website and, their experience centre, AtherSpace at Indiranagar will open for test rides on Friday, June 8. The Ather 450 has been designed to solve for problems limiting current electric two-wheelers, like slow charging speeds, low powered motors, and short battery lives. It can fast charge to 80% at a rate of 1 km/minute. It comes with a 3.3kW BLDC motor that can comfortably ride up 18-degree slopes, making steep parking lots, flyovers, and roads an easy climb. And for the first time in the category, Ather 450 comes with parking assist, which allows riders to reverse into tight parking locations. The key differentiator of the Ather 450 are its intelligence features, seamless charging and ownership experience. The Ather 450 has a 7” touchscreen dashboard that allows onboard navigation with options of alternative routes and saved locations. It comes with the Ather app that enables push navigation from the phone to the vehicle dashboard, remote monitoring of the vehicle health, charge monitoring and managing service requirements. Finally, with the over-the-air (OTA) functionality, the vehicle is capable of improving over time with continuous improvement and addition of new features and functionalities. Ather Energy has a new dealership and service model. While the ordering, payment, and test ride scheduling is online, the brand has opened its experience centre, AtherSpace to give customers an in-depth look and experience of the product. The servicing woes are also taken away by a seamless doorstep pickup and service that can be scheduled through the Ather app. Ather is offering a unique no-hassle, pricing model. The total cost includes what consumers pay upfront to buy the scooter and a monthly subscription that will take care of most operational expenses. The Ather One plan entitles customers to free public and home charging, periodic maintenance inclusive of consumables, breakdown assistance and unlimited data services for the dashboard at only Rs. 700 + GST per month, which is way lower than the sustenance cost of present scooters. The Ather 450 is priced at Rs. 1,24,750 on road and the Ather 340 is priced at Rs. 1,09,750 on road. This is inclusive of subsidy @ Rs. 22,000, GST, road tax, smart card fee, registration card, and insurance. For the first set of consumers, Ather Energy is offering the first year of the subscription plan for free. The company will also provide a home charging Point with the Ather 450 and a charging cable with the Ather 340. The price of these products and their installation will be waived off for these consumers. 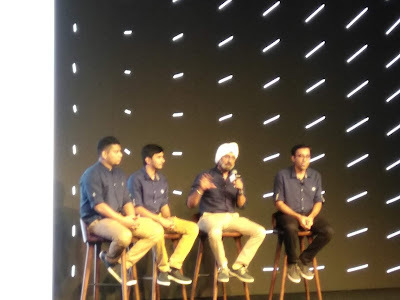 Tarun Mehta, Co-Founder & CEO says, "We started building electric scooters four years ago at IIT Madras and we are super excited to launch not only the Ather 340, but also our higher performance flagship variant, the Ather 450. It has been designed with quick acceleration, great handling, high storage space and new-to-category features like park assist, remote diagnostics, and onboard navigation. In the last 4 years we have not only built the scooter, but an ecosystem for an electric vehicle future. Be it the suppliers and partners who were entering the EV market, the charging infrastructure that had to be set up for consumers and the engineering talent itself to build the products. Between the Ather 450 & Ather 340 launching and AtherGrid being up and running in Bengaluru, we are really looking forward to expanding into Chennai & Pune in the coming months. These are exciting times to be a part of the industry."